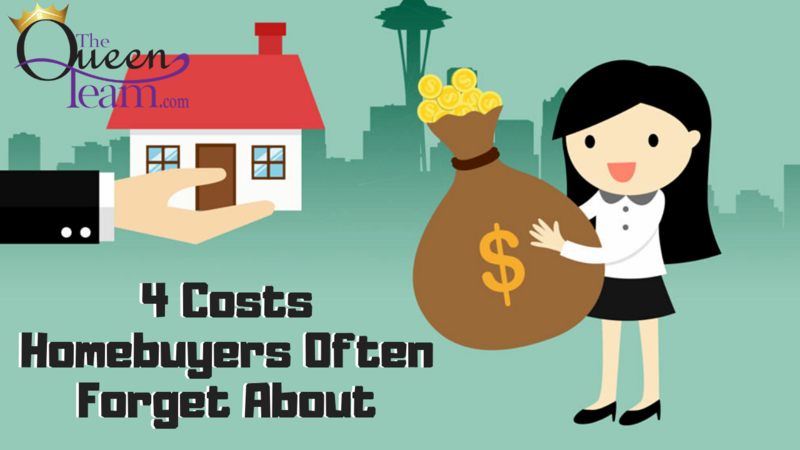 Today, I’d like to go over four costs you may have forgotten about when making your home buying budget. It isn’t cheap to buy a home these days, and I’m not just talking about the price of the home itself. Unexpected out-of-pocket costs can pop up during the process. It isn’t cheap to buy a home. 1. The inspection. After you’ve made an offer on a property, you’ll usually need to pay an inspector to take a look at the home. This can run you a few hundred dollars. But, if there are any structural or safety issues, you may have to pay another professional to look specifically at the problem area. 2. Extra costs at the closing table. Beyond the closing costs themselves, there are a few additional expenses that buyers sometimes forget about at the closing table. Many lenders require you to pay a year’s taxes and mortgage up front. If the seller prepaid any of the taxes or fees, you’ll pay a prorated amount for the next of the year. 3. The move. Unless you’ve got some family members who can take care of most of this work for you, moving can be an expensive process. Costs will vary greatly depending on how much you’re moving, how far away you’re moving, where you live, and more. In any case, expect to pay a few thousand dollars. 4. Immediate costs. You may be able to put off new furniture purchases and renovations, but there are a few different expenses to expect right away. For example, you’ll need to hire a locksmith to change the locks in your new home. There could also be deposits or fees associated with setting up or transferring your utilities. Also, remember to plan for both routine and unexpected maintenance costs. Most real estate professionals will tell you that something in your new home is going to break down within the first year. So, set up an emergency savings account with at least six months’ worth of living expenses.